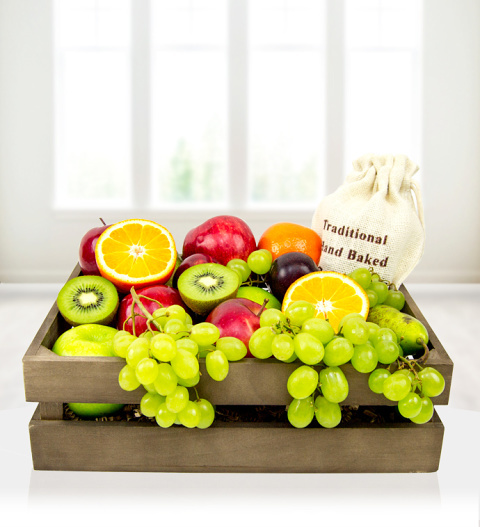 Our Traditional Fruit Crate is one of our best sellers and it's easy to see why! With a Hessian bag of traditional hand baked biscuits, succulent juicy grapes, crisp delicious apples, pears, plumbs and so much more, this is a fruit crate with a 'wow' factor. Perfect for all occasions, the Traditional fruit crate is available for UK next day delivery.